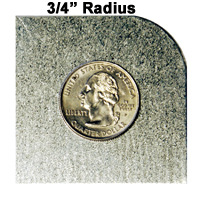 Rounded corners are a fabrication option that takes the sharp point off the 90° corner. 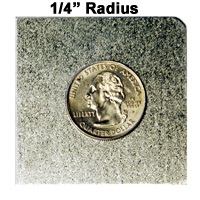 We have eleven different sizes to choose from, with 1/8” radius being minimal visually, but enough to remove any sharp corner. 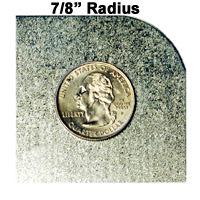 Hemmed pieces can also have rounded corners, which prevents the sharp corner made by two bends ending on the same point. 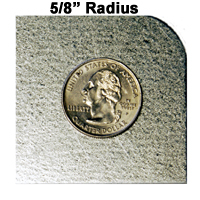 Great option if the material will be handled frequently. 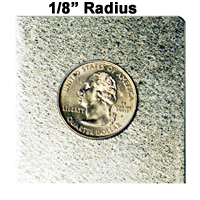 The images below show each radius size. 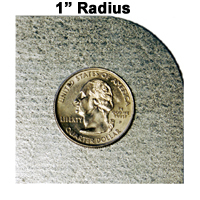 In the examples below, the only corner rounded is the upper right. 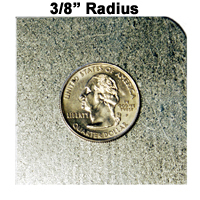 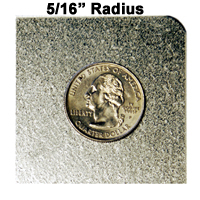 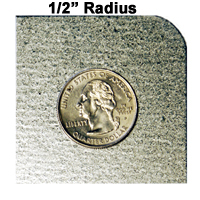 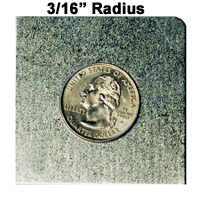 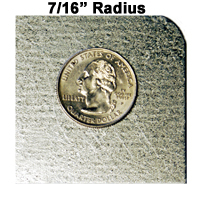 A standard quarter has been placed on the example to give an idea of the amount of 'rounding' per radius size.